A brand is far more than a logo, it’s the perception of your company in every form – a living identity. As a design and strategy studio, Keeping seeks to gain a clear understanding of our client’s purpose, values and target audience to deliver a brand that drives valuable engagement. Keeping understands that a successful brand is timeless in its design, enabling it to adapt to trends whilst maintaining a clear and engaging identity. We create brands that appreciate their market and understand the competition – positioning the brand carefully within the clear picture we create through in-depth market research and analysis. Where do we start with brand design? When designing the visual identity of a brand, Keeping starts by immersing ourselves into your company’s purpose and audience. Once understood, this guides the creation of logo concepts, surfacing as many creative ideas that meet objectives set in the design brief. These raw concepts, which could be typographic or purely graphical, are then developed further into digital ideas that are presented to the client and followed by further exploration. Initially, we find that colour distracts from the form of the logo, so we remove it from our initial concepts. Instead, we choose to explore movement within the ideas. The movement we present illustrates how the brand could begin to live in a more kinetic environment. Brands that move encourage far greater engagement from audiences. With our chosen, iterated, route we begin to create the visual assets for the brand identity. 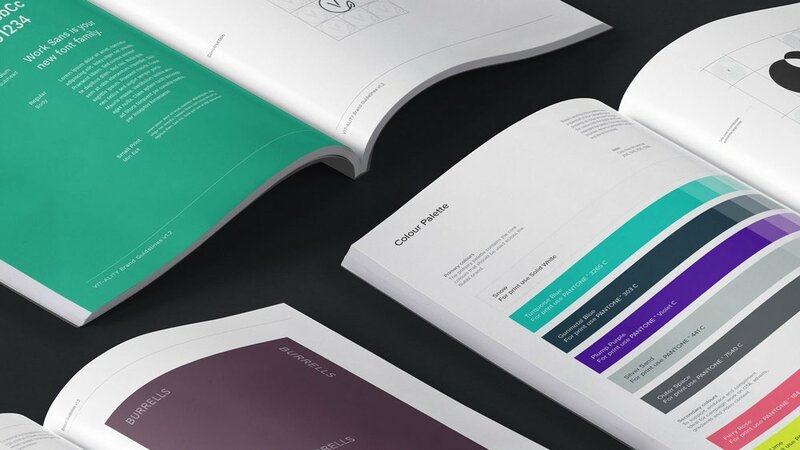 These assets also inform the first version of the new brand’s guidelines. A document which, as with the brand, should live and iterate; not restricting creativity but acting as a catalyst for ideas, whilst ensuring all assets clearly represent the same brand. Once completed, all created files are packaged and supplied to our clients, ready for implementation and use on any required marketing platform/channel.